The ENERGY STAR program was established by EPA in 1992, under the authority of the Clean Air Act Section 103(g), among others. Section 103(g) of the Clean Air Act directs the Administrator to "conduct a basic engineering research and technology program to develop, evaluate, and demonstrate non-regulatory strategies and technologies for reducing air pollution." The section calls on the Administrator to provide opportunities for industry, public interest groups, scientists, and other interested persons to participate in strategy development. Further it directs EPA to include as elements of the program improvements in non-regulatory strategies and technologies for preventing or reducing multiple pollutants including carbon dioxide. The ENERGY STAR program is one component of the Administrator's response. ENERGY STAR is a voluntary, public-private partnership designed to reduce energy use and related air pollution and greenhouse gas emissions. 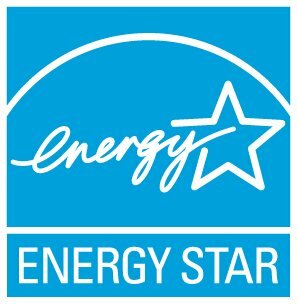 The ENERGY STAR label was first introduced to recognize energy-efficient computers. Since then, the label has grown to identify efficient products across more than 70 product categories. Since 1996, EPA has collaborated with DOE, based on a Memorandum of Cooperation between the two agencies. In addition, EPA developed criteria to allow the label to be used on energy-efficient new homes in 1995, efficient commercial buildings in 1999, and efficient industrial plants in 2006. --solicit comments from interested parties prior to establishing or revising an ENERGY STAR product category, specification, or criterion.